Whether you’re covering a large fleet or monitoring just a truck or two, this smart and handy tool makes it easy to collect critical truck performance data. 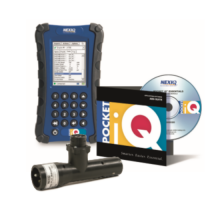 With the Pocket iQ™ your toolkit, gathering the data you need to keep your trucks running efficiently is quick and simple. The versatile Pocket iQ reports both engine and transmission functions—and it covers brakes, too. It’s compact size and user-friendly features take data gathering to the next level.